Sturgeon Class Attack Submarine: Laid down, 20 September 1968, at the Electric Boat Division, of General Dynamics, Groton, CT.; Launched, 1 May 1970; Commissioned, USS Billfish (SSN-676), 12 March 1971; Decommissioned and simultaneously struck from the Naval Register, 1 July 1999; Final Disposition, disposed of through the Nuclear Powered Ship and Submarine Recycling Program (NPSSRP) at Puget Sound Naval Shipyard, Bremerton, WA., 26 April 2000. Specifications: Displacement, Surfaced: 3,640 t., Submerged: 4,640 t.; Length 292' 3"; Beam 31' 8"; Draft 28' 8"; Speed, Surfaced 15 kts, Submerged 25 kts; Depth limit 1,300'; Complement 108; Armament, four 21" torpedo tubes amidships aft of bow, MK 48 Torpedoes, UUM-44A SUBROC, UGM-84A/C Harpoon, MK 57 deep water mines, MK 60 CAPTOR mines; Combat Sensors, Radar, BPS-14/15 surface search, Sonars, BQQ-5 multi-function bow mounted, BQR-7 passive in submarines with BQQ-2, BQS-12 active 7, TB-16 or TB-23 towed array, EW Systems, WLQ-4(V), WLR-4(V), WLR-9; Propulsion System, one S5W nuclear reactor, two steam turbines, one propeller, 15,000 shp. 267k Billfish (SSN-676) is launched with a cermonial wet kiss of champagne across her bow by her sponsor, Mrs Earle G. Wheeler on 1 May 1970. Photo courtesy of Scott Koen & ussnewyork.com. 432k The champagne from Billfish's (SSN-676) launching drips down her sponsor on to her sponsor, Mrs. Earle G. Wheeler as she and her family watch the boat starting her slide down the shipway after her christening. Photo courtesy of Dale Hargrave. 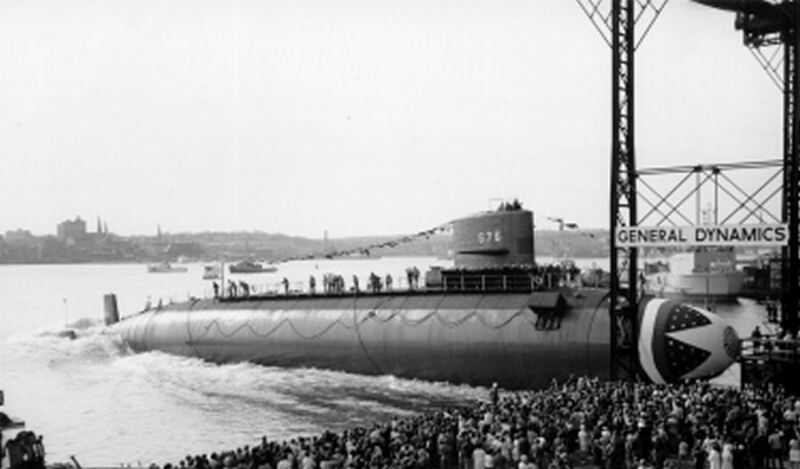 49k Entering the waters of the Thames River stern first, the Billfish (SSN-676) is launched at the Electric Boat Division, of General Dynamics, Groton, CT., 1 May 1970. Courtesy of Electric Boat. 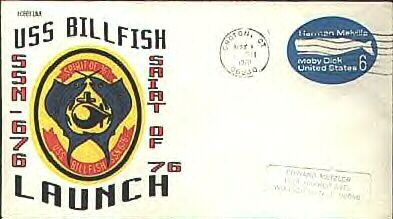 93k Launch cachet of the Billfish (SSN-676). USN photo courtesy of Scott Koen & ussnewyork.com. 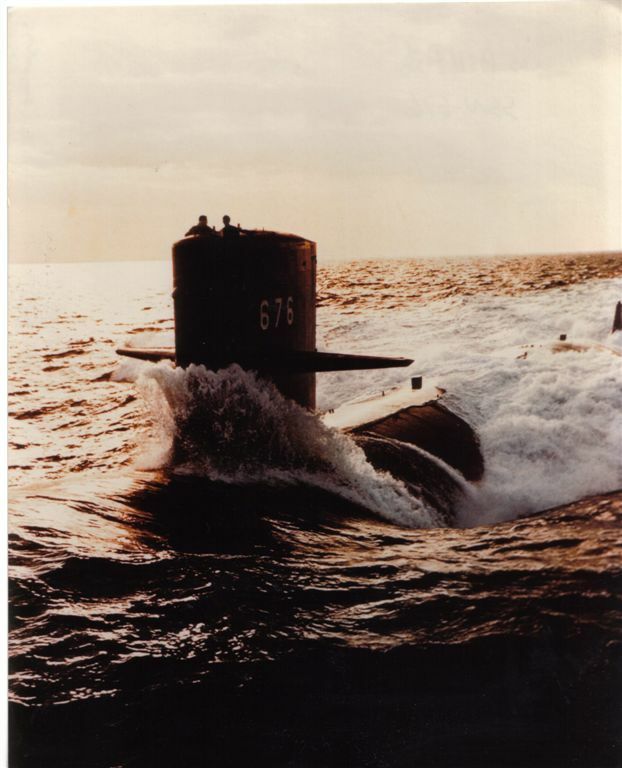 1.73k Fifeteen photo Commissioning PDF for the Billfish (SSN-676). Photo courtesy of Edward Haberberger via Mike Smolinski. 1.72k Twelve photo Welcome Aboard PDF the Billfish (SSN-676). Photo courtesy of Edward Haberberger via Mike Smolinski. 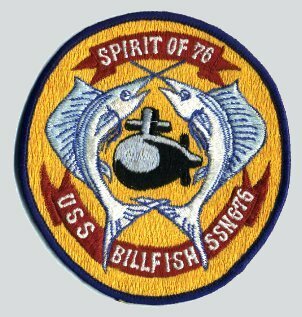 11k Captain Richard M. "Mac" Hughes placed Billfish (SSN-676), in commission in Groton, CT, and conducted operations for two years. 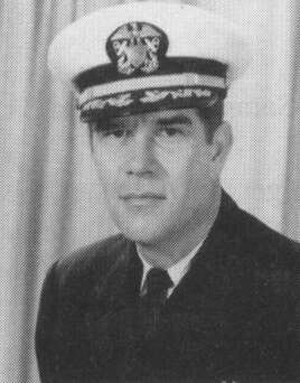 Captain Hughes also had command of the submarine tender Fulton (AS-11), the Nuclear Power Training Unit, Idaho Falls, ID, and Submarine Refit and Training Group, La Maddelena, Italy. USN photo courtesy of Bill Gonyo. 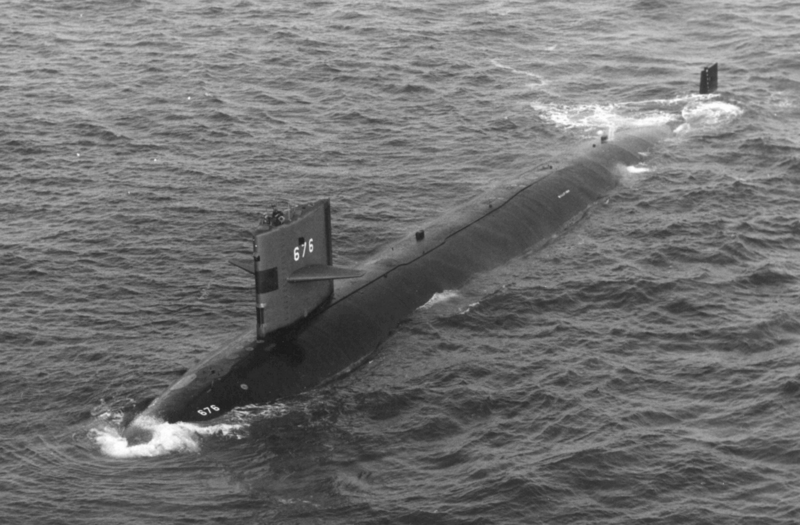 30k Billfish (SSN-676), underway, probably during her sea trials off the coast of New England, 1970. Submitted by Larry Bohn, courtesy of the Wisconsin Maritime Museum, Manitowoc, Wisconsin, home of the Cobia SS-245. 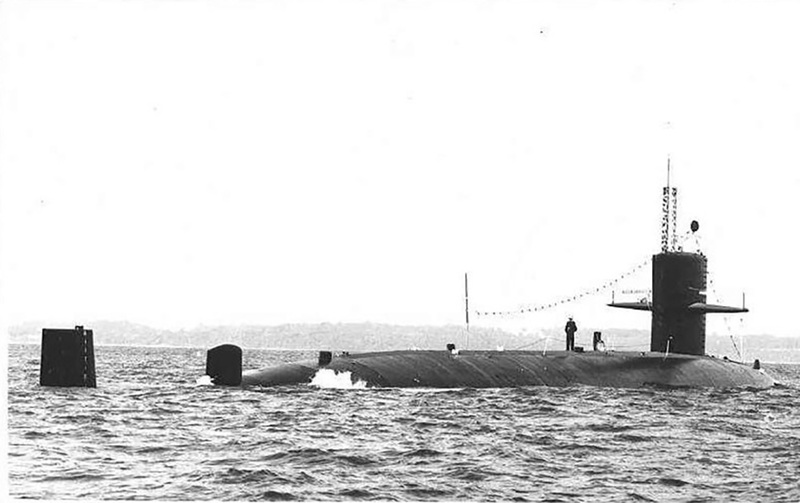 140k Billfish (SSN-676) at the Queen's Silver Jubilee Review, June 1977. Photo also shows California (CG-36), and the either HMS Tiger or HMS Blake, a County Class guided missile destroyer and RMAS Waterfowl. USN photo submitted by Robert Hurst. 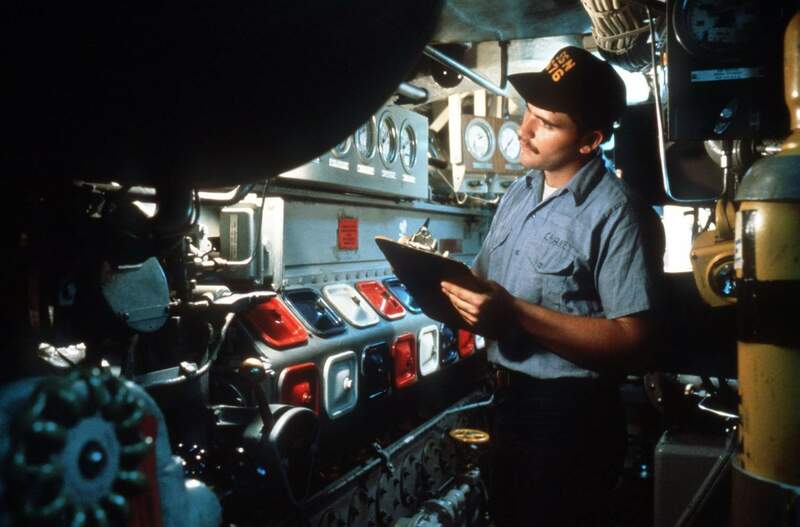 110k A technician checks the diesel backup engine aboard the nuclear-powered attack submarine Billfish (SSN-676), 1 Jul 1981. Official USN photo # DN-ST-88-07347, by Fred Maroon, from the Department of Defense Still Media Collection, courtesy of dodmedia.osd.mil. 64k An aerial port view of the nuclear-powered attack submarine Billfish (SSN-676), underway, 1 January 1984. Official USN photo courtesy of Wendell Royce McLaughlin Jr.
461k Posing for a photograph next to the sail of the nuclear-powered attack submarine Billfish (SSN-676) are from left to right: Lieutenant (LT) W. Hillardes, F. Sullivan, B. Lynn, Lieutenant Commander (LTC) Hering, Vice Admiral (VADM) Daniel L. Cooper, commander, Submarine Force, US Atlantic Fleet; Dr. S. Wills, Vice Admiral (VADM) James R. Hogg, director, Naval Warfare, Office of the CHIEF of Naval Operations, and Captain (CAPT) G. Dorman. 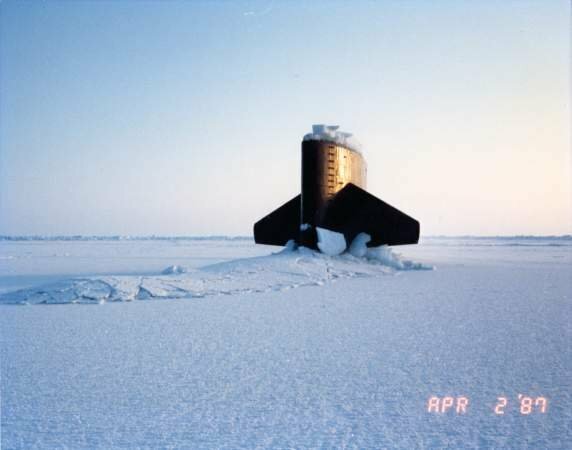 The Billfish surfaced through the icepack during Exercise ICEX '87, 01/01/1987 Billfish (SSN-676) 16 December 1970. Image # DN-SC-88-04005 courtesy of the National Archives via Bill Gonyo. 113k Crewmen from the nuclear-powered attack submarine Billfish (SSN-676) chop a hole through ice covering the bow of the ship while it is surfaced at the North Pole. The sail-mounted diving planes are in the vertical position for breaking through the ice on 30 March 1987. Official USN photo # DN-ST-87-06187, by PH1 Chuck Mussi, from the Department of Defense Still Media Collection, courtesy of dodmedia.osd.mil. & submitted by Bill Gonyo. 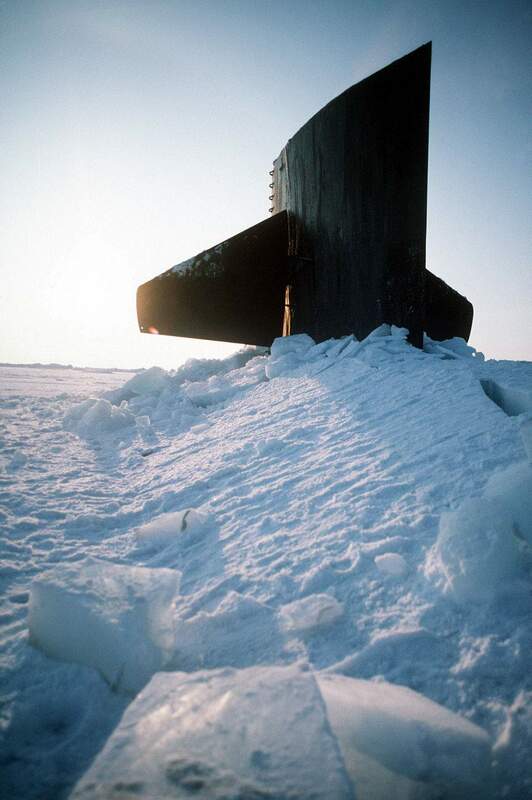 156k The sail of the nuclear-powered attack submarine Billfish (SSN-676) protudes from the ice while the ship is surfaced at the North Pole. The sail-mounted diving planes are in the vertical position for breaking through the ice on 30 March 1987. Official USN photo # DN-ST-87-06189, by PH 1 Mussi, from the Department of Defense Still Media Collection, courtesy of dodmedia.osd.mil. & submitted by Bill Gonyo. 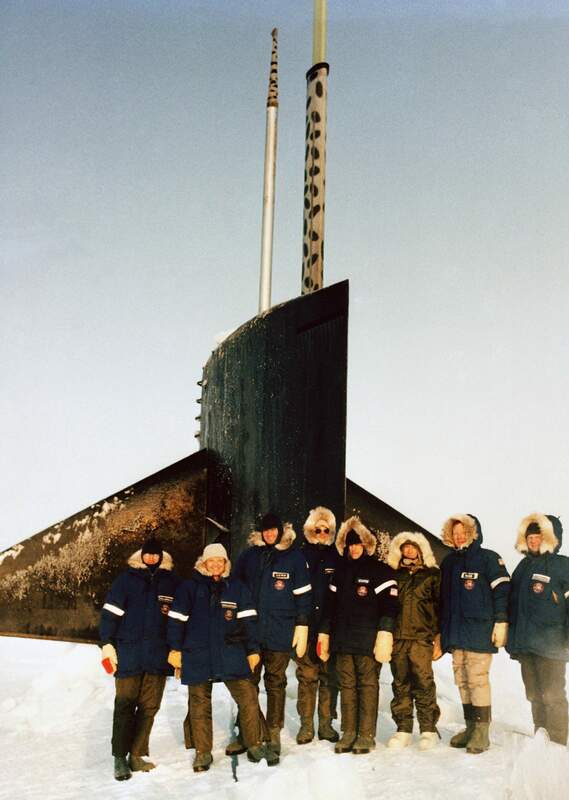 28k Billfish (SSN-676), above the Arctic Circle, 2 April 1987. USN photo courtesy of the US Navy Arctic Submarine Laboratory. 83k U.S. and British sailors explore the Arctic ice cap while conducting the first U.S./British coordinated surfacing at the North Pole. The ships are, left to right: the nuclear-powered attack submarine Sea Devil (SSN-664), the fleet submarine HMS Superb (S-109) , and the nuclear-powered attack submarine Billfish (SSN-676), 18 May 1987. Official USN photo # DN-ST-87-09889, courtesy of dodmedia.osd.mil. 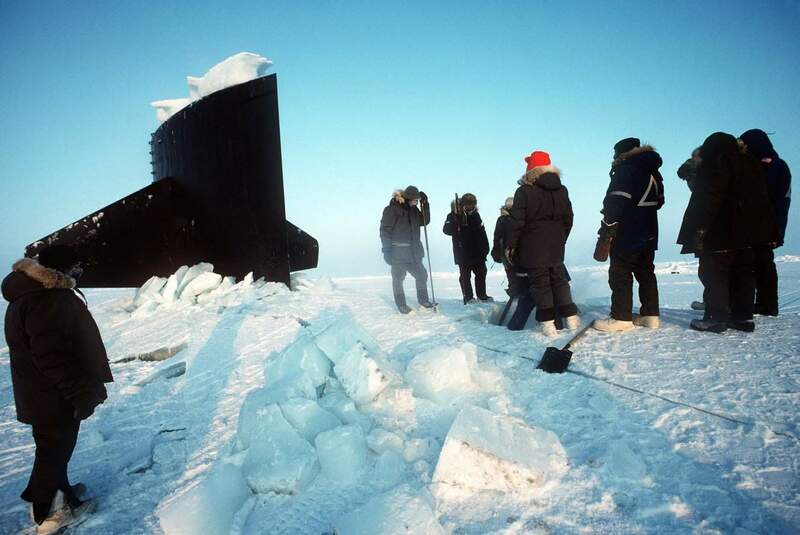 89 U.S. and British sailors explore the Arctic ice cap while conducting the first U.S./British coordinated surfacing at the North Pole. 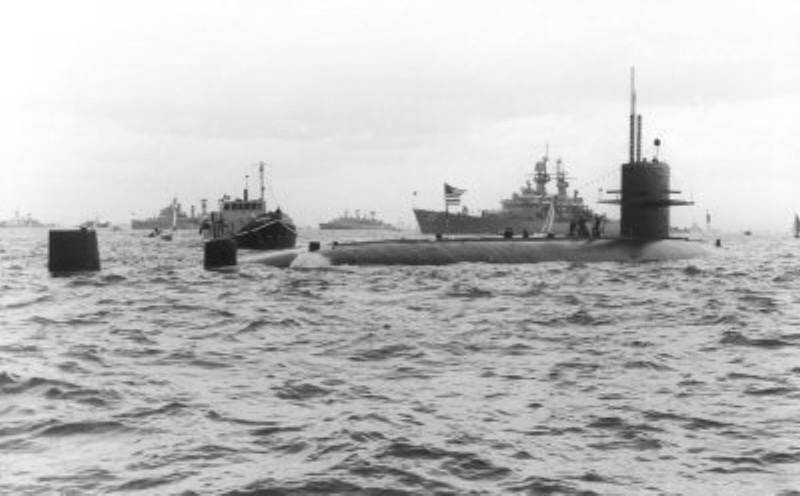 The ships are, left to right: the nuclear-powered attack submarine Sea Devil (SSN-664), the fleet submarine HMS Superb (S-109) , and the nuclear-powered attack submarine Billfish (SSN-676), 18 May 1987. Official USN photo # DN-ST-87-09888, from the Department of Defense Still Media Collection, courtesy of dodmedia.osd.mil. 123k Billfish (SSN-676) in warm water. 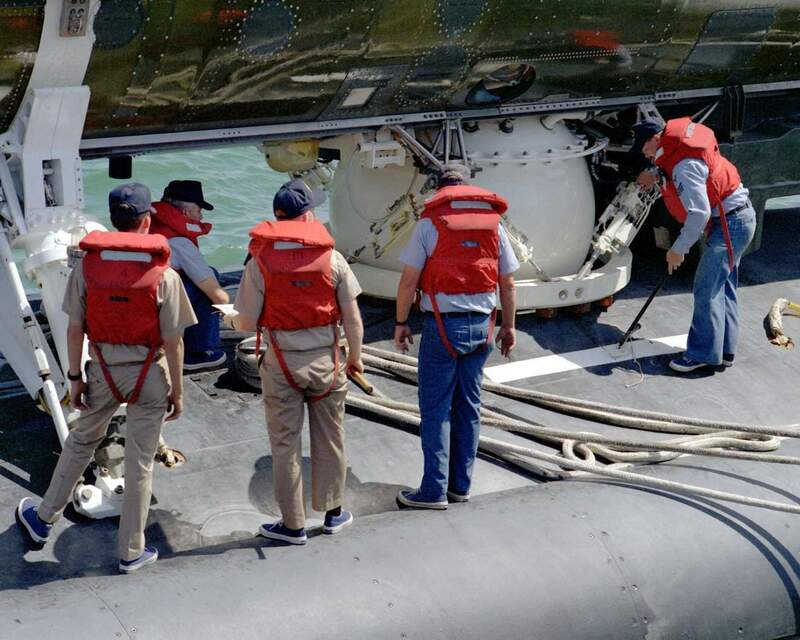 Photo courtesy of Richard Miller, BMCS, USNR RET. 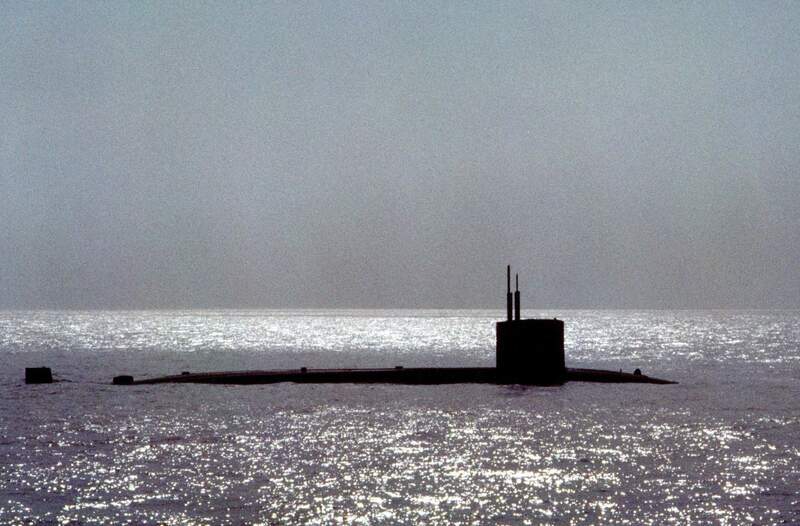 368k The nuclear-powered attack submarine Billfish (SSN-676) is silhouetted against the water while taking part in the joint U.S./French naval exercise Dasix Lafayette, 10 June 1992. Official USN photo # DN-ST-92-09467, by PH3 Howard M. Arnold, courtesy of dodmedia.osd.mil. 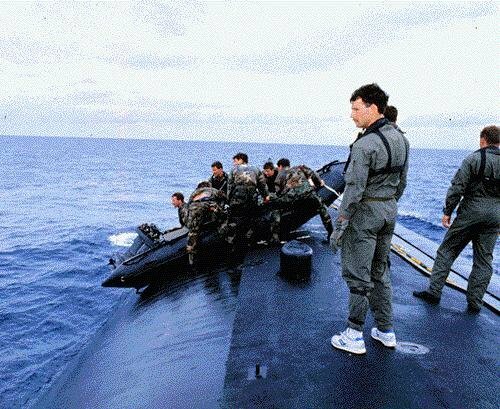 761k Members of a U.S. Navy Sea-Air-Land (SEAL) team prepare to dive from the deck of the nuclear-powered attack submarine Billfish (SSN-676) during combat rescue training, part of the joint U.S./French naval exercise Dasix Lafayette, 10 June 1992. Official USN photo # DN-ST-92-09468, by PH3 Howard M. Arnold, from the Department of Defense Still Media Collection, courtesy of dodmedia.osd.mil. & submitted by Bill Gonyo. 215k A crewman inspects the pylons securing the deep submergence rescue vehicle Avalon (DSRV-2) to the deck of the nuclear-powered attack submarine Billfish (SSN-676). Both are scheduled to participate in the NATO deep sea rescue exercise Sorbet Royal '92 on 2 September 1992. Official USN photo # DN-SC-93-00495, by PH3 Douglas L. Badders, from the Department of Defense Still Media Collection, courtesy of dodmedia.osd.mil. & submitted by Bill Gonyo. 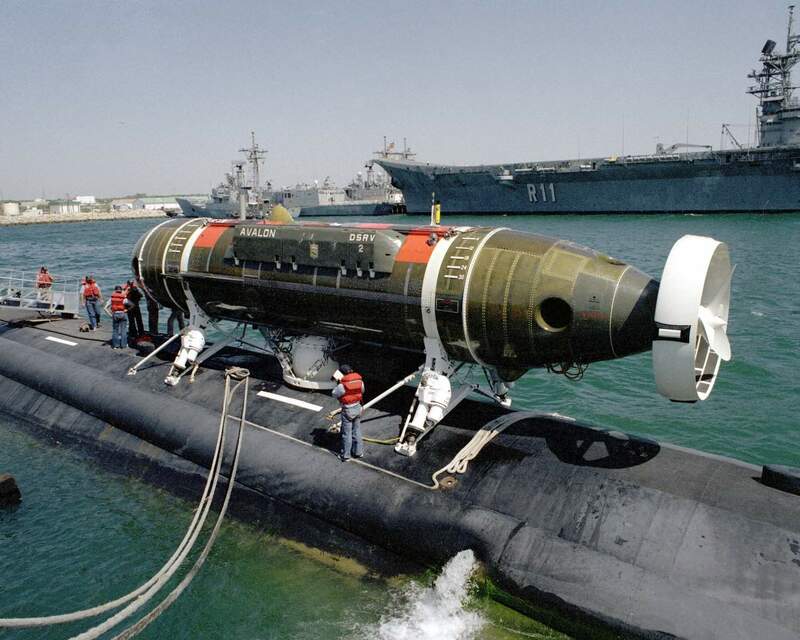 749k Crewmen inspect the deep submergence rescue vehicle Avalon (DSRV-2) secured to the deck of the nuclear-powered attack submarine Billfish (SSN-676) on 1 September 1992. Both are scheduled to participate in the NATO deep sea rescue exercise Sorbet Royal '92. Official USN photo # DN-SC-93-00499 by PH3 Douglas L. Badders, from the Department of Defense Still Media Collection, courtesy of dodmedia.osd.mil. 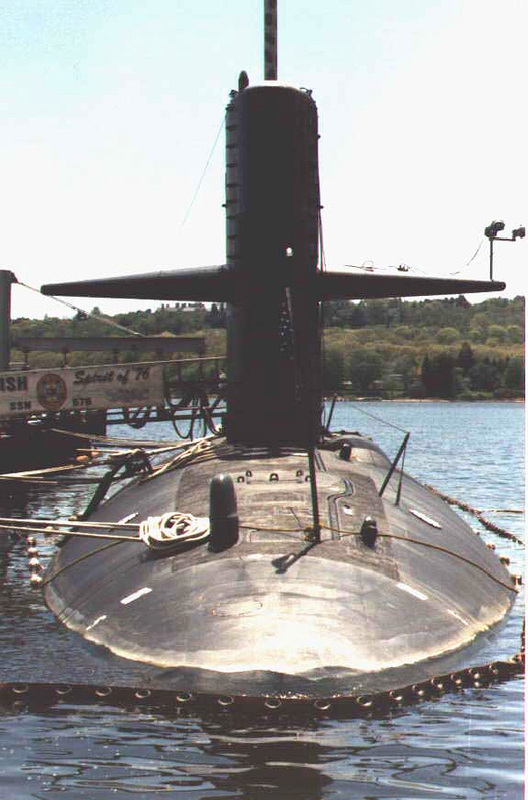 58k Billfish (SSN-676), bow view at Groton CT, 1997. Courtesy of Lester Palifka. 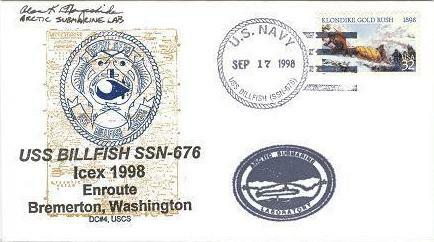 25k Commemorative postal cover marking issued on the occasion of Billfish's (SSN-676) participation in Icex 1998, 17 September 1998. Courtesy of Jack Treutle (of blessed memory). 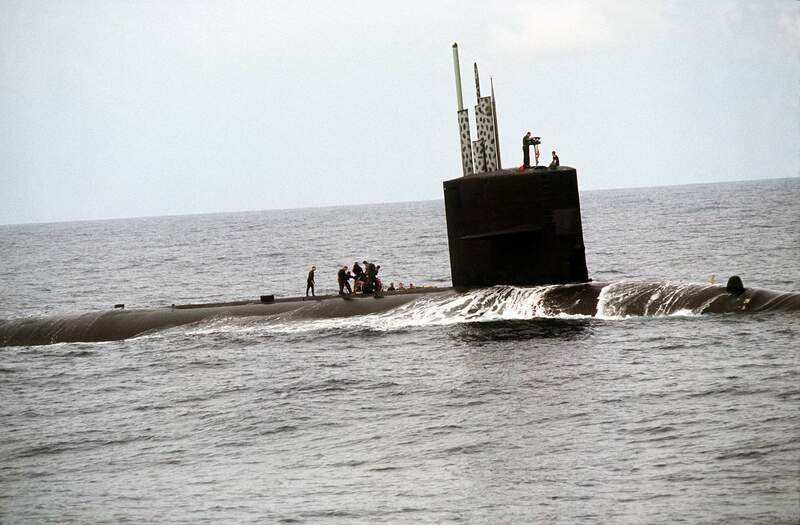 88k Billfish (SSN-676), during Special Warfare Ops. SEAL team launching inflatable boats, date and place unknown. USN photo courtesy of the Federation of American Scientists. 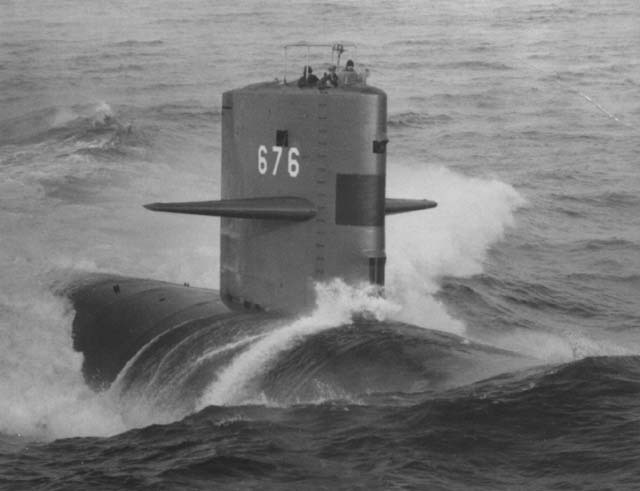 77k Billfish (SSN-676), during Special Warfare Ops. 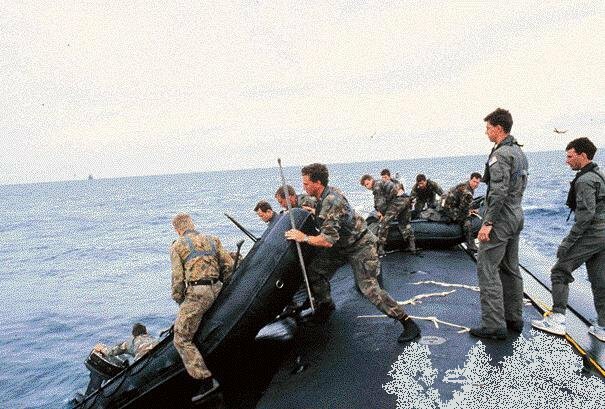 SEAL team launching inflatable boats, date and place unknown. USN photo courtesy of the Federation of American Scientists.